Boasting excellent features, production and lyrical content, Blake‘s 2019 effort will hold much in the way of replay value for his fans but Assume Form falls short of being AOTY material by a discernible margin. Unlike my other published reviews and, undoubtedly, my future reviews, the artist in this case isn’t someone whose discography I’ve made an effort to be familiar with. Not for any reason other than journalistic experimentation. In this instance, I’m going to allow their latest release to be my introduction to their work. 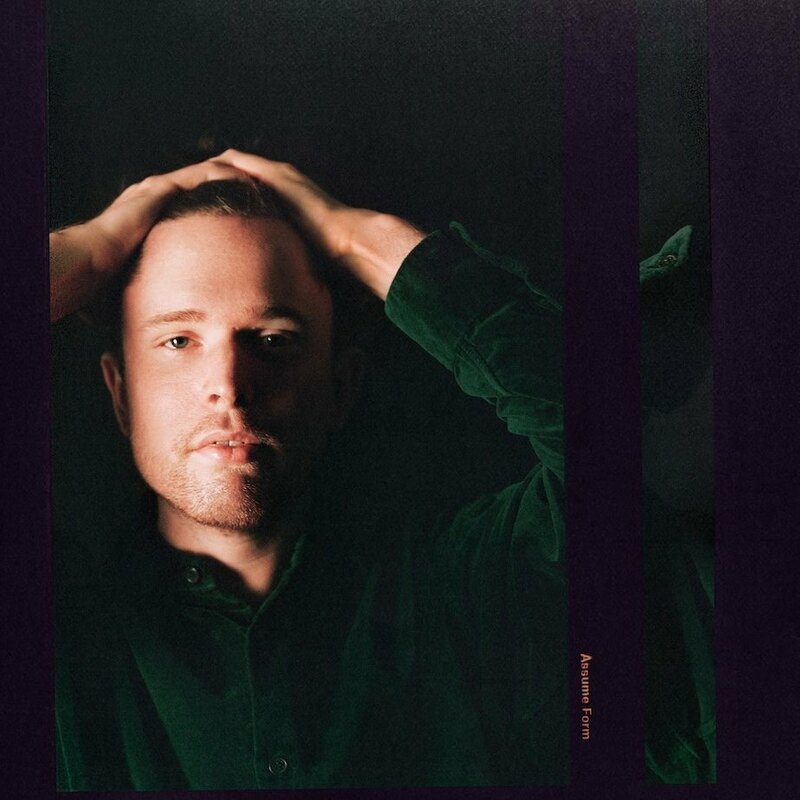 James Blake’s 2019 release Assume Form for better or worse is my entrance into this seemingly vast and varied body of music. A name most music enthusiasts are familiar with, I’m sure, Blake has made his name in the industry by being a prolific collaborator and producer, working with artists from several different styles of music, most notably Bon Iver, Beyoncé, Jay Z, and Frank Ocean. As I say, my research for this review has been minimal as I’m hoping to not judge this album based on any of Blake’s previous achievements and/or failures,but rather its individual merit. That said, it’s impossible to not mention some of the features heard on this record including vocal contributions from Moses Sumney, ROSALÍA, and André 3000. Generally speaking and as a rule of thumb, if André features on a record, it’s usually a safe bet that the album is pretty good and worth checking out. In fact, the features list is arguably the main thing that attracted me to idea of reviewing the record in the first place. Though somewhat easily distracted by the glitzy, glamorous cast of characters appearing throughout, it’s imperative I remind myself that this is the solo effort of Blake himself, therefore despite how grand these guest performances may well be, the composition value of the tracks lie with Blake and his ability to craft and curate a collection of songs. That in mind, I find that the first few tracks on the record sort of blend into one upon the first few initial listens. After a few more tries, this isn’t the case and things become more apparent and the compelling textural elements buried within these performances are illuminated. I remain uncertain of whether I actually like Blake’s voice or not, as smooth as it may be and whilst some of his lyrics are definitely memorable, I’m not sure if the actual timbre of his voice is something that appeals to my ears. I think for that reason, I don’t find myself really sitting up and paying my fullest attention until Moses Sumney begins singing in third track, “Tell Them”. There seems to be a noteworthy balance of uplifting songs against some far more emotionally moving and melancholic tracks, as well as the inclusion of what feel like more sonically ambiguous tracks that are even perhaps quite unsettling to listen to. “Where’s The Catch?”, featuring André 3000, is one of the tracks that exemplifies the latter. This is a hard song, most definitely. Some of the vocal manipulations and sampling, alongside the harmonically unstable chord progression lurking in the background, provide for a really dark set of textures and colours. Wailing, whirring distorted guitars flare up throughout, whilst vocal harmonies imply a counter melody to the actual lead vocal. I think this song is possibly the strongest on the album from a production standpoint, as well as maintaining a continuous level of entertainment value. Another track that does a fine job of giving this album proper context and also keeping the listener interested is “Barefoot in the Park”, featuring ROSALÍA. Another song that balances tenuously somewhere between melancholy, unnerving, and possibly uplifting. ROSALÍA’s vocals in the verses are presumably sang in her mother tongue of Spanish, but the melisma and the implicit melody definitely conjures imagery of the far East, one way or another. The use of a foreign language on this otherwise English record serves a functional purpose of momentarily alienating the average listener, which is a pretty affecting moment in the track listing. Whilst the production and all of the instrumentals keep me interested, unfortunately I don’t find myself coming back to this album to listen to Blake’s singing but rather the performances of his featured artists. This doesn’t inspire me to delve into his other work in any particular hurry, though some of his other collaborations definitely strike me as things I’d likely enjoy, I have to say that this album overall left me feeling slightly underwhelmed. I think fans of alternative R&B music and anyone who likes Blake’s vocal styling will get some serious enjoyment and replay value out of this album, as it’s clearly expertly crafted and has been a labour of love. With some really interesting samples and sound design heard throughout, as well as sensitive and considerate lyrics top to bottom, Assume Form is undoubtedly a strong start to the year for Blake and the genre in general, but falls a little bit short for me personally. Next PostA SCENE IN RETROSPECT: Cynic - "Traced In Air"